An contemporary love heart print. 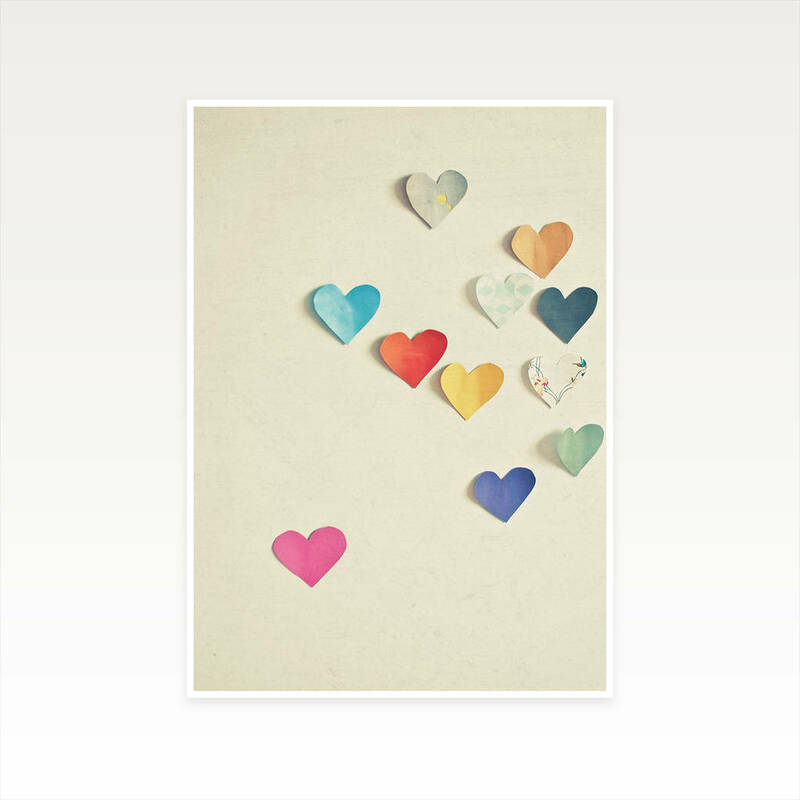 This romantic print would make a beautiful gift for your girlfriend or wife on Valentine's Day, a special anniversay or birthday. 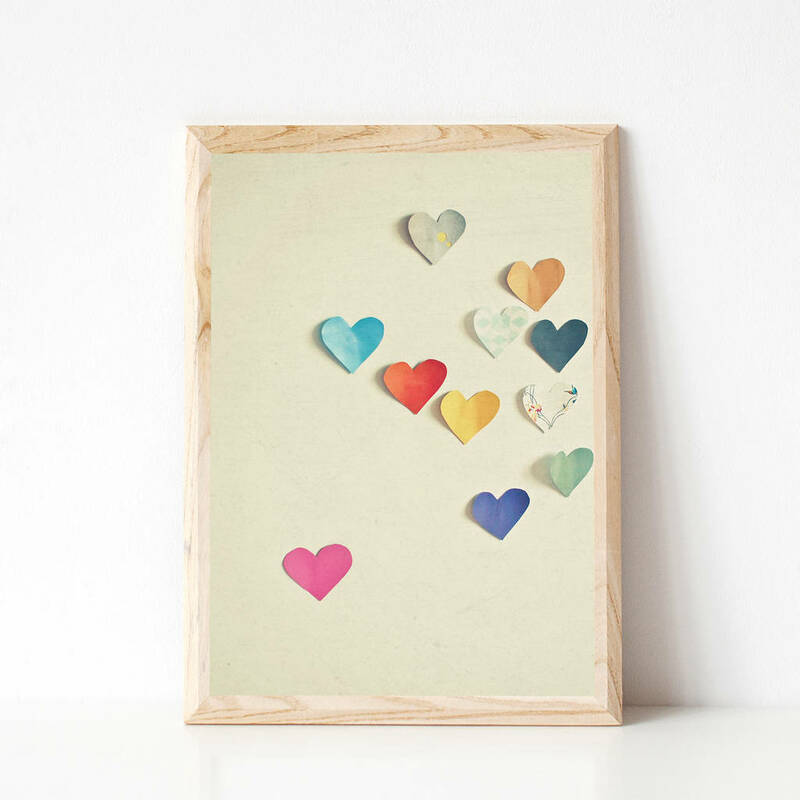 A contemporary, colourful love heart print which would suit any room. Printed on 310gsm Ilford Galerie paper with a smooth pearl finish. This product is dispatched to you by Cassia Beck Art and Photography.